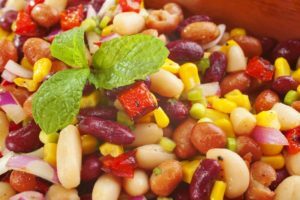 In honor of the London 2012 Olympic games, it’s time to try some pinto bean recipes inspired by dishes from around the world. 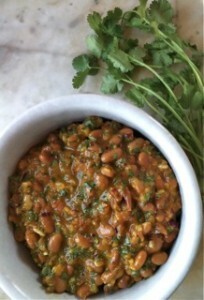 Beans are essential in so many food cultures because of their health value and versatility. Flip to your favorite Olympic event and get inspired to try something a little different. This dish is inspired by French cassoulet which is a rich, slow-cooked casserole. Spicy sausage and Creole flavoring gives a kick to the chicken thighs in this recipe. Serve with a side salad and a plate of French bread for a full meal with the family. Bon appetit! Pinto beans are a staple in Mexican food culture. 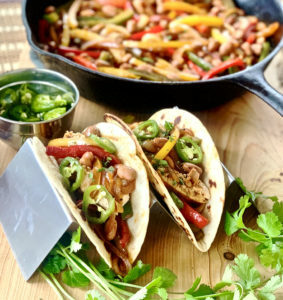 This Mexican pinto bean salsa is a great dinner recipe served with steak in a soft shell tortilla. If you’re craving a mid-day snack, grab a bag of tortilla chips. This curry is not for the faint of heart. It’s one you can’t normally find at restaurants, but it’s a North Indian favorite. It’s vegetarian and has lots of interesting spices. Serve this with your favorite rice and definitely a glass of water! It’s no doubt that these Olympic games will be one for the books, as all others have been. 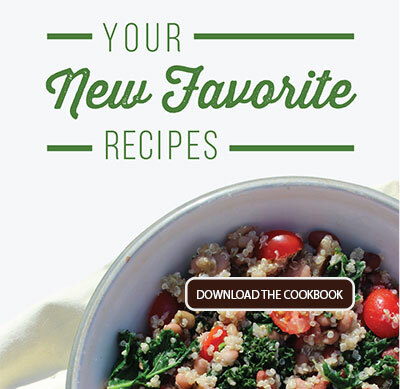 Get your family excited to learn about different cultures with some new recipes.